A few months ago, I wrote an article called When You Can’t Be 100% Natural. Today, I want to talk about ways to save money on your pet’s medication when you find your dog or cat does need the help of pharmaceuticals. But, as always, please speak with your veterinarian on natural ways to help support your dog or cat’s medical condition. It’s not just about adding medications, but how to support them when they do need pet medications. These tips can also be used for decreasing your personal medication costs, too! Pet Insurance: First and foremost, enroll your dog or cat in a pet insurance plan! The sooner, the better. Most insurance companies will not cover a preexisting condition and have a 30-90 day wait period before taking effect. Having pet insurance for Dexter saves me thousands of dollars every year, even with his deductible and monthly premium. Read my article on Choosing Pet Insurance for tips on finding the best pet insurance plan for you. Pet Medication Choices: Be open with your veterinarian on the issue of cost. Some medications are more expensive than others, but a less-expensive alternative may have a similar effect on treatment. That said, also make sure you are looking for a pet medication with the fewest known side effects. Having more side effects can cost you more in the long run financially and physically for your pet. Generic Medication: Another option for some pet medications is a generic form. Generic pet medications can be 70-85% less than their brand-name counterparts. This can potentially save you hundreds of dollars a month! Compounding Pharmacies: Veterinary compounding pharmacies can prepare your pet’s medication to order, and usually at a cheaper rate. 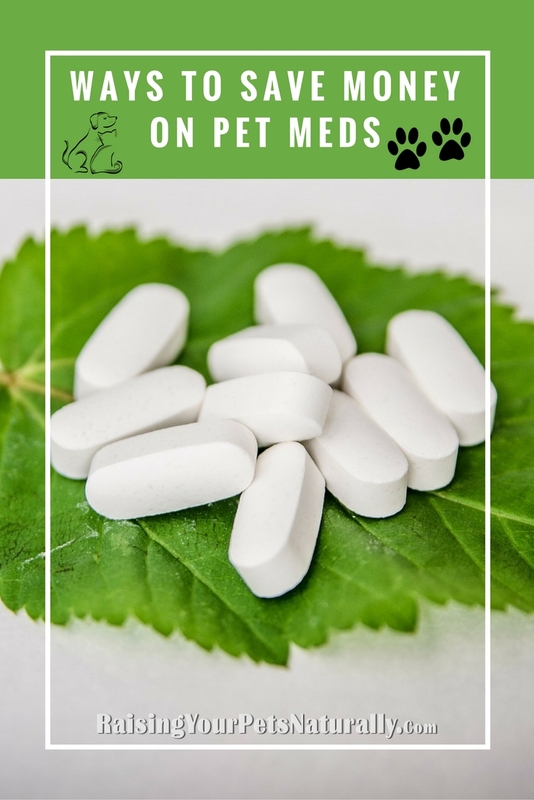 This is especially helpful if you have a pet that is hard to pill or needs a very specific dose. I order most of Dexter’s medications through Diamondback Drugs and have been very happy. We saved about $200 a month on one of our medications. Comparison Shop: Don’t just take your pet’s medication to the closest pharmacy. Get on the phone or the internet and compare prices. You might be surprised at just how much different the price can be from pharmacy to pharmacy. Ask friends: This pet blog post was inspired by my Cavalier King Charles Spaniel friends! I was commenting on Dexter’s medication price increase, and discovered that a lot of these dogs have similar medical conditions with similar medications. We had a great discussion on where to purchase pet medications at a low price. Mail Order Medications: Numerous online pet catalogs offer pet medications at a discount price. Drs. Foster and Smith and Valley Vet are two to check out. Double Pill Dose: This may be an option if your pet’s pills come in tablet form. For example, Dexter gets a pet medication that is 5mg twice a day. If we bump that up to 10mg and split the tablet in half, the cost of the prescription is actually only $2 more! So instead of 50 days, I would get 100 days for $2 more. Crazy! Now, you can’t do that with monthly medications, because the medication is not distributed evenly in a tablet, but that’s not a real concern when you are giving the other half 12 hours later. Order More: Sometimes ordering in bulk will cut down the cost per pill and for shipping. But, make sure you know the expiration before ordering too many. 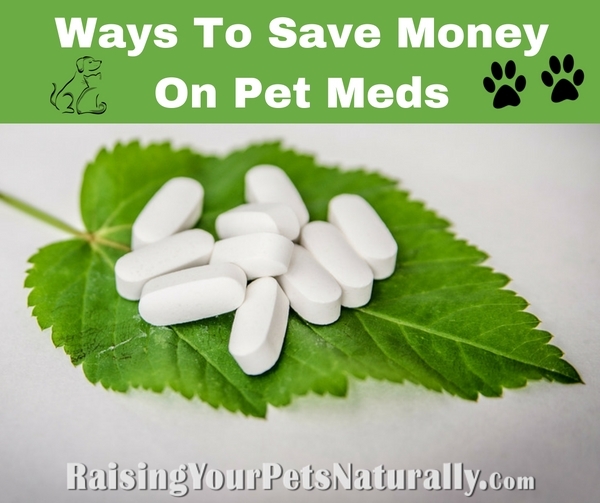 As you can see, there are a lot of ways you can cut your pet’s medication cost. As a final note, I would suggest to go through these steps again if the price of your pet’s medication increases. Often medication prices will increase with one pharmacy and not the other, or a new medication may come to market that could be substituted. Do you have any tips to share? Tell me in the comments.